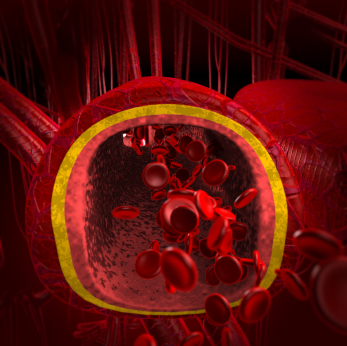 Anemia – Iron is an essential component of proteins involved in oxygen transport and is vital to the regulation of cell growth and differentiation. A deficiency of iron limits oxygen delivery to cells. The World Health Organization considers iron deficiency the number one nutritional disorder in the world. As many as 80% of the world’s population may be iron deficient, while 30% may have iron deficiency anemia. Anemia is a reduction of the amount of hemoglobin in the bloodstream and/or a reduction in the red blood cells themselves, which involves a reduction in the amount of oxygen that the body is able to carry. Carbon dioxide accumulates in the cells, causing decreased efficiency and lower rate of body processes. Pernicious or megoblastic anemia is a form that results from a deficiency of vitamin B12 or folate. It is a very severe form of anemia in which there is a gradual reduction in the number of blood cells because the bone marrow fails to produce mature red blood cells. Pernicious anemia symptoms include gastrointestinal disturbances, causing a sore tongue and tingling of the extremities. Other complications connected to disturbances of the nervous system might arise in the form of partial loss of coordination of fingers, feet and legs. Folate deficiency anemia can occur when a diet is poor in the B-vitamin folic acid. Sickle cell anemia is characterized by red blood cells that become hard and bent and clog the circulation system, depriving the tissues of oxygen. Hemolytic anemia results from the deficiency of the enzyme glucose-6-phosphate dehydrogenase or of glutathione synthetase. In this case the body breaks down red blood cells too quickly. People may also experience dizziness, pale face and lips, brittle nails, white eyelid linings, irritability or depression, drowsiness, soreness in the mouth, headaches, heart palpitations and abdominal pains. Healthy adults absorb about 10% to 15% of dietary iron, but individual absorption is influenced by several factors. There are two types of iron: heme and nonheme. Heme is found in meats (grass-fed red meat) seafood (like salmon –but only chose wild) and non-heme is found in plant foods. Absorption of heme iron ranges from 15% to 35%, and is not significantly affected by diet. In contrast, 2% to 20% of nonheme iron in plant foods and is effected by food combinations. Storage levels of iron have the greatest influence on iron absorption. Iron absorption increases when body stores are low. When iron stores are high, absorption decreases to help protect against toxic effects of iron overload. Along with heme rich meats, the diet should include broccoli, leafy greens, kelp, peas, parsley, prunes, raisins and whole grains like millet. Include foods that are high in vitamin C content to aid iron absorption like citrus or spinach. People who are anemic should moderate foods that contain contain oxalic acid, which interferes with iron absorption. These include: almonds and most nuts, asparagus, cashews, chocolate, kale, rhubarb, sorrel, swiss chard and beans. Additives found in beer, candy bars, dairy products, ice cream and soft drinks can interfere with iron absorption. Tannins in tea, plyphenols in coffee, cadmium from smoking and lead found in various products interfere with iron absorption as well. Iron absorption also can be adversely affected by diarrhea, chronic use of laxatives and malabsorption diseases. Zinc and antacids interfere with the absorption of iron and have to be taken at different times. A lack of B12 and folate can lead to vitamin deficiency anemia. A combination product will bring much better results since those who are iron deficient. Gene mutations in MTHFR, MTR and MTRR can affect B12 and folate status, along with low lithium levels. It is important to use the active form of folate – methylfoalte – not folic acid. This formula uses a sublingual lozenge which is superior for those with digestive issues. Vitamin A helps mobilize iron from its storage sites, so a deficiency of vitamin A limits the body’s ability to use stored iron. This results in an “apparent” iron deficiency because hemoglobin levels are low even though the body can maintain normal amounts of stored iron. Vitamin A should be in the retinol form, as found in cod liver oil. This particular cod liver oil is superior because it is raw, ultra virgin, and processed in pristine conditions in Norway. Many cheap cod liver oil products use heat, chemicals and add synthetic vitamins back in. A low-fat diet can lead to vitamin E deficiencies. Vitamin E deficiency in premature infants is associated with a hemolytic anemia.3 Red blood cells become more sensitive to attack by free radicals because they cannot form lipids in which vitamins can be stored. Increasing the blood level of vitamin E can help protect against this. Eating vitamin E rich foods like nuts, fertile eggs, grass-fed red meat, sunflower seeds, cocoa butter and coconut oil. Vitamin C is required to assist with iron absorption and to work synergetically with vitamin E for free radical protection. 1. National Institutes of Health. “Dietary Supplement Fact Sheet: Iron”. United States of America, Department of Health and Human Services. http://ods.od.nih.gov/factsheets/iron.asp. Retrieved 2010.